11 The LORD said, "Go out and stand on the mountain in the presence of the LORD, for the LORD is about to pass by." Imagine being Elijah and having God tell you that "the LORD is about to pass by." Stop and think for a minute, how would you react or what you be feeling if God told you that He was about to visit you? Me? I can imagine that a surge of adrenalin and emotion would hit me; equal parts fear and anticipation. I'd be expecting God to show up in an awesome (lit. "awe-inspiring") way. I'd be expecting to be un-done by His holiness and majesty, or be overcome by His beauty or overwhelmed by His sheer size or His power. Once the wind kicked up, I'd be positive something was about to happen...but no. But then an earthquake, and surely God must be in that, but no. Finally a whisper. 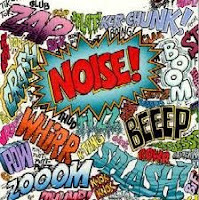 Is the ambient noise level in your life such that you can hear the whispers of God? It is often said that "God is a gentleman; He never yells." Now between you and me, I don't know about that statement and whether it measures up with God's revelation in Scripture; however, I do know that there are many, many examples of God speaking to man and quite often, it is through a whisper. Occasionally, when He's really trying to get our attention, He has to force us to stop our activity in order to hear Him. This begs the question, "is the ambient noise level in your life such that you can hear the whispers of God?" I have a new baby...our first. I've heard it said that there is no bigger life-change one goes through than having your first child. Life will never be the same. The ambient noise level in our home has gone up, while the energy levels of Mom and Dad have gone down. It is a constant struggle to find times of rest and quiet. It is a season of life we're in. But still...I can listen for God in the spaces between the activities...I can look for God in new ways...I can still listen. God still speaks...quite often, He whispers. Do you hear Him? This is the first of two posts from the story of Elijah. First things first though; you have to read the account in 1 Kings 19. I have a newborn baby - Brennan, our first. He's almost 5 months old and as any new parent can tell you, having your first child will change your life forever. Parenting is a young mans game...I never thought I'd be 39 going on 40 when I had my first child. The first thing you notice, aside from how darn cute he is, is how little sleep you're going to get for the forseeable future. "Sleep like a baby?" Not sure who coined that phrase but "sleeping like a baby" definitely does not = lots of sleep. Now let's pick up that story of Elijah. 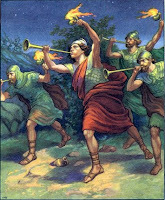 In chapter 18, Elijah has just defeated the 450 prophets of Baal, single-handedly (with God's help, of course). He's just won a huge victory and where do we see him next? Celebrating? Gloating? Enjoying his new-found power and popularity? No - he's running for his life from Jezebel, a woman who isn't too happy about all her prophets being killed. It's at this point that he sits down and asks God to let him die. And then the most amazing thing happens; God does not give the lecture, does not scold Elijah for his lack of faith, does not berate him for forgetting the victory He just won - I mean surely if God can deliver 450 men into Elijah's hands, He can deliver 1 woman too, can't He? Isn't God big enough? All at once an angel touched him and said, "Get up and eat." God gives Elijah what he needs most at that time. Rest, and Food. And then He does it again...more rest, and more food. 2) God commands and allows rest for us in our lives - take advantage of it! 2) Not every battle is really worth fighting...sometimes, the best thing you can do is sleep. First, an apology - this slideshow will NOT display properly using internet explorer. Use Firefox, Google Chrome, or a Mac, and you're set! God Reveals, we respond, and that is worship. On my "two years through the Bible journey" I just finised reading Judges 6, and the 1st part of the story of Gideon. I've read this story many times, but in it are lessons I continue to re-learn. They are lessons that when put into practice will lead to a life of peace and trust, rather than worry. Let me draw your attention to a couple of key spots and make three simple points. (12) When the angel of the LORD appeared to Gideon, he said, "The LORD is with you, mighty warrior." Mighty warrior? What, are you serious? Don't miss the comical aspect of what the angel is saying here. Gideon is not a warrior; he is not Braveheart, he is not Maximus Decimus Meridius, he is not Jason Bourne. Gideon is anything but a mighty warrior. As we soon learn, his clan is the weakest, and he is the least in his family. Mighty warrior? Point 2: When God sends us, He expects us to use what we have and go... Now as you will see, point 2 leads right into point 3. (15,16) "But Lord," Gideon asked, "how can I save Israel? My clan is the weakest in Manasseh, and I am the least in my family." The LORD answered, "I will be with you, and you will strike down all the Midianites together." Point 3: God makes up the difference. He asks Gideon to go in the strength he has, and then God adds his own strength to make up the team. If this were an equation, it might look like this; Us in our strength + God in His strength = Victory. So the question is this; what in your life has God sent you to do, that maybe you've shrunk back from? Is there something He's called you to "go in the strength you have", knowing that He will make up the rest? It reminds me of something I once heard, that still haunts me. I can't remember who said it, but they simply said this; "Most of us never epxerience the power of God in our lives because we never attempt anything that would require it." 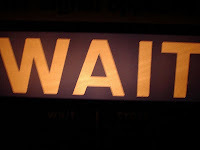 The question lingers; what has God called you to, and is He still waiting on you to "go in the strength you have?" "Faith is the confidence that what we hope for will actually happen; it gives us assurance about things we cannot see." (Hebrews 11:1, NLT). "Be joyful always; pray continually; give thanks in all circumstances, for this is God's will for you in Christ Jesus. (1 Thes 5:16-18). To be sure, Christians should generally be optimists. We should face each day - be it good or bad - with the knowledge of our salvation which should be a constant source of joy...the substitutionary death on the cross by Jesus Christ, who took our place and saved us from eternal death. Think about that - eternity separated from God and all things good and right and just...this was our destiny until Jesus erased that and replaced it with a new, eternal, and everlasting life. That truth should be the motivator for a life of joy. That doesn't mean we turn a blind eye to the facts...and sometimes those facts are cold, hard, and miserable. However, the optimist says, "even though I hurt so much today, and the tears are flowing, I cling to the hope I have in Christ for a better day." It's an iron-clad faith that in the end, Christ will do what He promised. Now look at those verses above. In Hebrews we see that faith, the backbone of Christianity, is the confidence that what God says will happen will actually happen. This faith should give us assurance for this hope, even though we can't quite see it all yet. In Thessalonians we see that God calls us to be joyful and to give thanks in all circumstances. Notice it doesn't say to be thankful for all circumstances, for not all circumstances are good...but we can remain thank in all circumstances, because of the joy that comes from knowing Him. This is so important as we go through life and experience seasons of pain, of loss, of doubt, uncertainty, sadness. These seasons and emotions are all part of living in a fallen world. We are not supposed to somehow be "happy" when we've lost a loved one, a job, been pronounced with cancer, or any other trial that should come our way. However, we should hold to our faith and the joy that comes with that faith. Key to this verse - context. Paul is talking about contentment, and the point of verse is this; no matter the situation we find ourselves in, whether rich or poor, healthy or sick, free or in prison, employed or jobless, life of blessing or feeling cursed, no matter what we face, we can do anything through Christ who will strengthen us to face each day. "The Lord answered Moses, 'Is the Lord's arm too short?' "
In other words, "Moses, do you doubt me? After all I've led you through, and all the miracles I've shown you, you actually doubt that I can do this?" It's easy to read this account and be highly judgmental, thinking that you would never have questioned God, and never have doubted Him...I wonder, though, that given the circumstances, I quite likely might have acted the same way. In fact, I HAVE - and so have you. 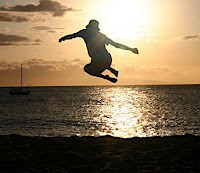 Think about it - every single time you worry, every time you lose hope, every time you feel like giving up, every time you give in to temptation or despair, you are, in effect saying to God, "Your arm is too short to do what You say You can do." Sad to say, but there have been many times that either by my words or actions, I have told God, "I don't believe You...Your arm is too short." The essence of Christianity is trust. Us trusting God. It's the foundation for the entire relationship. How can we trust Him? We must seek to know Him...deeply, experientially, emotionally, passionately, intellectually - no, we will never understand Him in full, for He is God and His ways are far above ours...but the more we seek Him, the more He reveals Himself to us, and the more we can trust Him. Today, quite simply, my prayer is that you and I would remember that God's arm is definitely long enough to handle anything that will ever come our way. Solomon said in Ecclesiastes that "there is a time for everything, and a season for every activity under heaven." To be sure, we all go through seasons as individuals, and churches, too, go through seasons. There are seasons of growth, seasons of pruning, seasons of consolidation, or reinvention. Perhaps the two toughest seasons are those of transition and waiting. The season of transition makes one feel insecure or lost. The season of waiting makes one feel forgotten. And yet, it is important to remember that all seasons are necessary for health. Right now we at Northlake are right smack dab in the middle of that season called "wait." It is hard, but should not be confused with the word "idleness." No season is ever wasted, and every season is used by God. "Yet those who wait for the LORD will gain new strength; they will mount up with wings like eagles, they will run and not get tired, they will walk and not become weary." 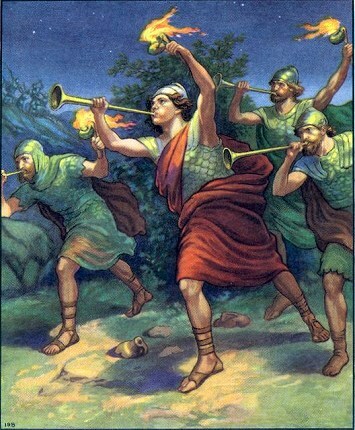 (Isaiah 40;31). God is Sovereign and as such, do not be confused...we are waiting onHim. Yet if we go through the process right, we'll find that this waiting will actually result in refreshment. And what is the correct process? There are many, many things I could say but I want to over-simplify it to two things today. 1) Pray. Pray continuously. Pray in the car, in the shower, on your jog or run or hike; pray while you stand or sit or kneel. Pray alone, pray with friends, pray with strangers. 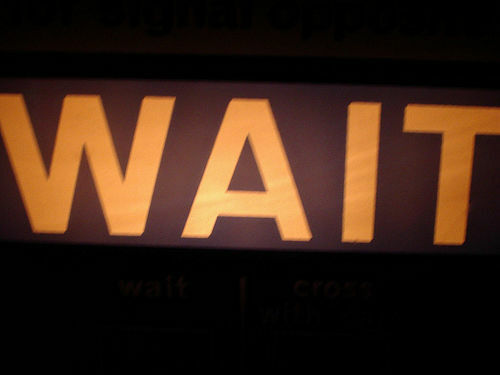 When you're forced to "wait on God" the best thing you can "do" is to pray. Only God knows the season, only God knows the outcome and goal, and therefore the only activity worth our time is to talk with Him and Listen to Him. 2) Don't borrow trouble from tomorrow. We all do this, all the time. We are incessant worriers. Some of us are so good at worrying that we probably worry we'll run out of things to worry about. The trouble with worrying? It is the opposite of trust. And trust is exactly what God wants us to do...trust in Him. While none of us know how much time is left in our season of waiting, we all know that immediately following this season comes another difficult season - transition and change. Let us prepare for that season by becoming men and women of prayer and faith.